Come to our Saskatoon location and see this lightweight 6'x13' steel ATV trailer. 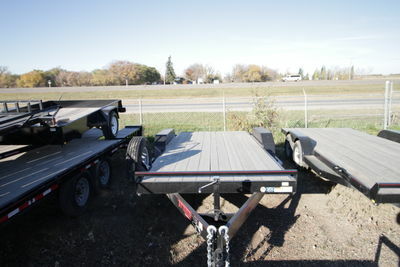 Come check out this 7'x14' ATV Trailer by TNT at our Saskatoon Location. Come by and check out this Car Hauler in our Saskatoon Lot, 2 miles North of 71st on HWY 12. Come Check out this 18' x 7' Flatdeck Trailer from TNT Trailers at our Saskatoon location, 2 miles North of 71st, on HWY 12. Come check out this 20' TNT Flatdeck at our Saskatoon location, 2 miles North of 71st on HWY 12. 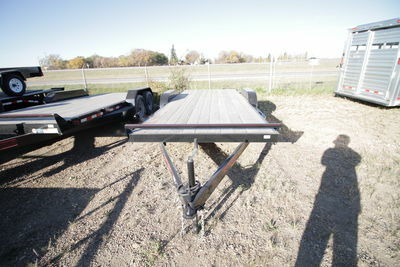 Come check out this 20' tilting Flatdeck trailer from TNT at our Saskatoon location, 2 miles North of 71st, on HWY 12.